In our house we have 2 iPhones, an iPod, an iPad, an iMac an old PC and only three (3) people! Not to mention 2 iPod/iPhone docks and many chargers in many handy spots around the house, oh, and the school issued laptop. And tonight, I am using the iPad to type my blog post. Last night I used my iPhone forgetting I could have used the iPad. This is why there were no photos in my blog yesterday, nor will there be any today or, I dare say for a couple of days. You see, the teenager is 'off site' and also, therefore, is the best Laptop! You might think that number is excessive for one small household, I happen to know, by comparison, it actually isn't. Just consider it is predicted that this year there will be more active mobile (cell) phones in the world than there are people. Also, remember *that* figure includes all the people who don't even have access to food let alone phones or electricity, and, that also includes all the children and babies! And THAT is only phones being referred to! 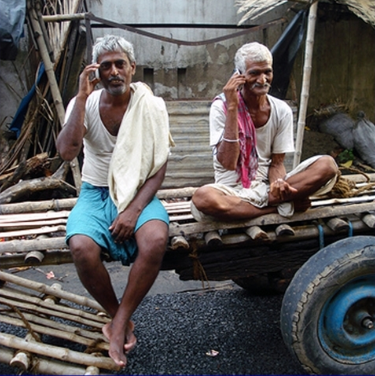 A 2012 Census in India found more people own mobile phones than have access to a toilet! Having now pointed out how ridiculously focused on technology we seem to be as humans, I must also say how grateful I am for my technology. You see I am reasonably housebound most of the time for various reasons and without my technology, I wouldn't have a clue what was going on outside of our little home. I also use my technology to research information that I hope will improve our lives such as things like parenting, nutrition, education, learning methods for people with Down syndrome, local activities for the kids etc. Yes, I am grateful for my technology.